Deciding to purchase your first car is an exciting moment, but it can also be an overwhelming experience for many people. By making the wrong decision, you might end up with huge monthly car payments, unexpected interest rates or even cars that need constant repairs and maintenance. A better idea is to take it slow and gather as much information beforehand as possible. Use this helpful guide for seven great tips that will help any first-time car buyer get the right vehicle for their needs and their budget. Can Someone With Bad Credit Get Car Finance? At the very extremes of the car buyer spectrum are the cheapskates and the big-spenders- both of whom put more emphasis on value rather than quality. Whichever category you may fall under, below are five simple steps to finding the car that is right for you. The first step and most important steps, is determining the brand, model, year of the car, and whether you want a new or used one. You need to know how much you want to pay and how much you can afford to pay. Most people finance their cars, either via a lease or by taking out an auto loan; therefore, how much cars you can afford will likely be influenced by your credit score. Beyond just whether or not you qualify for the loan or lease, think about whether or not the price is worth it and whether or not you are putting yourself in a position to damage your credit by overextending yourself. Find a price point where the payments will be manageable. While a comfortable ride is nice, no ride is not. 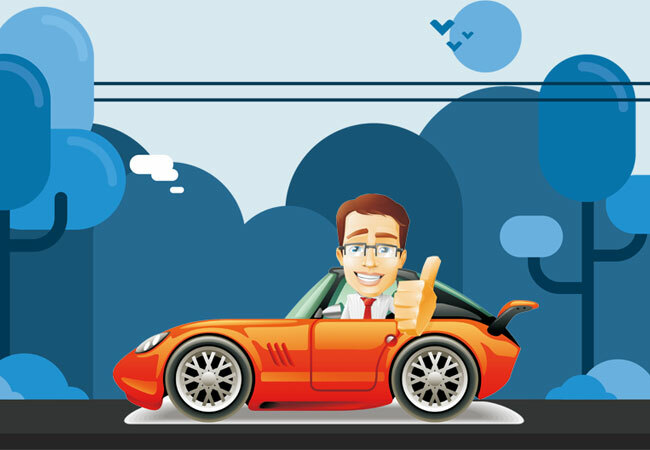 If you extend too far, you’ll not only be without a car, but you will have damaged your credit. One of the best things a car buyer can do is learn the invoice cost of the car you are thinking about buying. If you do not have a car in mind before going to the dealership, feel free to browse before ever even talking about a possible purchase. The invoice cost is the actual price the dealer paid for the vehicle. This is much easier to do for new cars- as the price tends to be consistent- but, for used cars, the price can fluctuate due to a number of reasons. For new car buyers, the best source for invoice cost inquiries is the Consumer Reports New Car Price Service. Knowing the invoice cost will give you an upper hand when negotiating the price of the car- since the cost is always priced much higher (the sticker price.) A good tip to keep in mind is the difference between the invoice cost and the sticker price is the room you have to negotiate. Once you know what kind of car you want and what your negotiating range is, it is now time to brush up on your negotiation tactics and start using them. There are numerous websites which can teach you the basics of negotiation. In the end, it is all about having the upper hand, showing no weakness, not caving in and getting what you want. Car dealers are very used to negotiating, so don’t be shy. When negotiating, always bargain up from the invoice price, rather than down from the sticker price. Once you’ve bargained the car to your ideal price range, and the car is nearly in your possession, the salesperson will almost always try to sell you on extra features. Sometimes, they may be features you actually want: tinted windows, cd player; however, sometimes they aren’t needed. In the end, if you didn’t plan on these features in the first place, then you don’t need them. This is the sales person’s final attempt to get what money they can out of you. In the end, you want a car that will last as long as you need it to. But, another thing to keep in mind when buying a new car, is the trade-in price. So, if you ever get tired of your car, or just want a new one, you can use the value of your new car towards an even newer car! Many shoppers head into a car dealership and set their heart on a specific vehicle before ever looking elsewhere. Not only is this a bad idea because you might change your mind about a specific vehicle, but it may not be the best price for the vehicle either. Spend some time thinking carefully about what kind of vehicle you need, and spend at least 24 hours in thought before deciding to purchase any specific car. When surrounded by beautiful cars and the prospect of owning your dream vehicle, it can be easy to justify an expensive purchase. However, this can ruin your credit or even put you in debt. Just because you can qualify for a specific car purchase, it doesn’t mean you should buy it. Create a budget that shows exactly how much you can afford to spend on monthly car payments and your downpayment and then stick to it once you go car shopping. You might be surprised to learn how much your choice of car will impact the rates you pay each money for auto insurance. An old car might seem like a great deal, but if you pay a fortune in insurance it actually won’t be saving you any money. Dealers might offer you financing options in-house, but that doesn’t mean you need to go with their choices. In fact, banks and credit unions often provide much better rates. The best option is simply to research your options beforehand and compare their estimates. This will ensure that you get the best possible rate for your purchase. If you decide to purchase a secondhand car, either from a dealer or from an independent seller, make sure that you have it checked by a mechanic. This will ensure that you don’t spend money on a car that will require excessive repairs in the future. Dealers are expecting some first-time car buyers to be fooled by high-interest rates, price reductions that are still higher than the manufacturer’s suggested retail price and unexpected dealer fees. Spend some time asking around or looking online to determine what to expect from a particular dealership, and come into the shopping experience armed with everything you need to know. These tips can ensure that first-time buyers make the right choice. Whether your car is new or secondhand, these six tips can help you find the perfect vehicle without overspending. A lot of car buyers are under the impression that they can only purchase those cars that fall under their budget or that comes with the price tag that they can afford. This logic is not completely false, i.e. a person having a budget of twenty thousand pounds cannot stretch his/her budget to accommodate a luxury car costing more than two hundred thousand pounds. However, it is not completely true also, because at times one can purchase a car whose price is beyond the budget that one has or can afford to shell out at a time with the help of a solution. The ‘solution’ here implies car finance. The basic idea behind vehicle finance is to spread the total cost of the vehicle over a predetermined number of months. Thus, one does not have to pay the entire amount upfront but one can pay it over a period of time in installments. If you thought that this is not a good way to purchase a vehicle then think again because more than 80% of individuals in the United States purchase their cars via some kind of vehicle-finance deal. In order to fulfill your needs, you can take your pick from three kinds of car finance: car leasing, hire purchase agreement and personal car loans. Out of these, the most popular one would have to be car leasing and the least popular one is a personal car loan. Car loan services are best for those who require purchasing a car but are clueless about their source of finance. Finding a good source of financing is tough enough, and it gets even tougher if you have a bad credit score because then banks would give you a hard time as they do not deal with customers having a bad credit score. This is where car loan services can come to use, you will find that some vehicle-finance plans are the answer to your needs and requirements. Car finance is definitely worth considering because this is something that people are truly embracing, so much so that some of the giant auto manufacturers like Ford and General Motors have come up with their own solutions for car financing, namely Ford Motor Credit Company and Ally Financial (earlier known as GMAC Financial Services arm) respectively. You will need car loan services because when you use it, you will be able to acquire the car of your dreams, even if it is beyond your reach! Gone are the days when only straightforward purchases with a single lump sum payment exist, today, the modern consumer has the provision of obtaining vehicle finance for private or business purpose. Thus, you will surely be thankful that you did obtain a vehicle finance service in the first place because you can now drive your dream car on the road with your loved one. It’s much easier to get a car loan when you have good credit, but having bad credit doesn’t mean you can’t get one. It just means you’ll have to do a little more work and possibly jump through a few more hoops. One thing to keep in mind is that banks, finance companies, and other lenders want to lend you money. It’s how they make money, so they want to do whatever they can to get you signed up. The big concern for these lenders is the default and a low credit score makes you a higher risk of not paying the loan back. That being said, there are things you can do to improve your chances of getting a loan, even if your score is very low. One thing that can improve your chances of getting a loan is to put down a bigger down payment. The more you put down, the more money you have invested in the car, which means you are less likely to default and risk having the car repossessed. Putting a large amount down also reduces the amount you need to borrow, which reduces the risk to the lender. Just because one lender turns you down doesn’t mean they all will. Lenders often have different underwriting standards. For example, a car dealership may work with one bank or finance company that has a hard-and-fast rule on minimum credit scores. If your score is below that level, you can’t qualify, no matter what other factors are in play. On the other hand, a local bank or credit union may have a more flexible standard when it comes to credit scores and takes other factors into account, such as your income level and your history as a customer. One way to ensure you can get a car loan even with bad credit is to get a co-signer. A co-signer is a person with good credit who basically guarantees the loan. If you don’t make your payments, the lender can go after that person for the debt. Because the lender’s risk of not getting repaid is lessened with this type of backup, the bank will be more likely to lend to you. A trusted friend or relative may be willing to co-sign a loan for you, but you should keep in mind that you can severely damage the personal relationship if you default on the loan. You might want to consider signing a separate contract with your co-signer guaranteeing you will repay any amount the person has to pay in the event you default on the loan. Keep in mind that no matter what route you take to get a car loan, your bad credit will mean that you will pay a higher interest rate, a bigger monthly payment and you may also face additional fees and unfavorable terms. No matter which route you choose, be sure to utilize find loan calculators to estimate your monthly payments based on interest rates and a down payment amount and put that money saving money to good use. If you are suffering from less than perfect credit, you may think that taking out an adverse credit car loan is not possible. However, this is not true. There are lending organizations which offer adverse credit car loans. 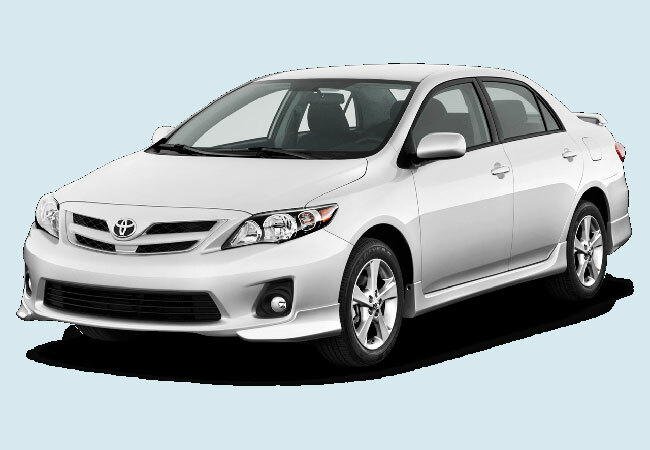 With our technical age, the internet is an excellent source for finding the right lender for adverse credit car loans. It has never been easier finding improved credit car loans. Obtaining a car loan directly from the dealer can lead you to an unfair deal where you will end up paying more. It is, therefore, wise to look for better alternatives. The dealerships, or what some call the steal ships will not be looking out for your credit and often charge much higher interest rates. They then make money on the loan, as well as the sale of the vehicle. If you are thinking about dealing with the dealership to hold the credit make sure that you get a good deal or other incentives to offset the potential high interest. An online search provides the option of comparing the interest rates, terms and conditions and qualification criteria for a large number of lenders. This gives a fairly good chance to know the different options available in the market. Comparing these different factors can actually help you to find the best deal that will be within your reach. If you do not compare the deals offered by the different lenders, you may end up with a deal which will not lead to the best adverse credit car loan. The reason why it is necessary to compare the offers made by different lenders is that there are a large number of lenders currently available. Because they want to get a good market share, they enter into a competition where the offered rates of interest for the adverse credit car loans decrease considerably and the terms and conditions become far more flexible than expected. Because of the competitive market, it is likely that you will stumble upon the best deal in the available. Once you narrow down on the preferred lenders, you can also run a background check for those lenders and you will know whether you can trust those lenders or not. This is imperative because there can be fraud lenders involved in a scam. The better business bureau is a good place to start. There are several websites present which can provide a comparative study of these lenders along with information on their past performance and their reputation in the industry. Thus, to find the right lender for adverse credit car loans, you need to conduct some online research from your end. Lastly, make sure you are buying what you can afford. The salespeople will be pushing the high-end sports car or SUV on you. If your income or budget only allows for a decent used car, make sure you stay within your means. Remember the sale people are looking to make the most money they can on the sale. They don’t care if you can afford it or not. They will get paid once you sign on the dotted line. Are you looking forward to buying a car but are a step behind just because of your bad credit history? Having a bad credit history is nothing to be ashamed of, as it may happen to anyone at any time. The only thing you need to do is to try improving your credit score. Yet sometimes, even with a bad credit rating, you can still apply for a car loan. There are numerous financing companies available that offer car finance deals with people with bad credit so that they can easily get the required finances to afford a car. The first step to be taken is to find a dealership that offers bad credit loans. Before visiting the dealer prepare the documents that you need to show the dealer as proof. You will need to show you are earning proof to confirm to the dealer that you are capable of repaying the amount. Read the contract thoroughly before signing; the interest rates charged will be a little higher when compared to other loans. Once you get the loan you can easily purchase the car that you desire. Getting a secured bad credit car loan is easy; here you need to provide collateral to the lender. You usually need to submit any valuable assets or property documents as proof for repayment of the loan. As you are submitting property documents against the loan the interest rates charged in this loan can be similar to that of normal car loans. You can get the loans approved in a shorter time span. Opposing the secured loan is this type of loan where you are free from any collateral submission; you need not to submit any property documents in order to get the loan. As you are not submitting any proofs against the loan and also possess a bad credit, the interest rates charged for the loan will be higher. After getting the loan approved you need to take care that you make all your payments on time as this will help you to improve your credit score. Fixing bad credit takes times; today you need a bad credit car loan but if you make your loan payments in a timely manner, your next car can be on your own terms. There was a time when buying a car meant making payments over the course of a few years and then you would own the vehicle. Leases came along as a selling incentive for those people who would trade their cars in every few years. Offering more affordable monthly payments, people loved the advantages of choosing a lease. However, a lease is not always the right choice. Here are some tips to help you decide whether you should purchase your car or opt for the lower monthly payments of a lease. The first question you must ask yourself is how long you plan on keeping the car. If you are a keeper who likes to see how many miles you can get on a car before the wheels fall off, then you definitely want to buy your next car. However, if you know that you will want to trade the car in after a few years, then a lease could be the right choice for you. When you own your car, watching the miles roll by and rack up can be mildly entertaining. If you lease, then this can become a major source of stress. Dealers base lease rates on low mileage levels, so a lease is never a good choice if you have a long commute or do a lot of driving. Going over the mileage limit will leave you facing serious fees at the end of the lease, and constantly watching the mileage during the lease term can become stressful. The bottom line is that a lease is only wise if you know you can stay within the mileage limits each year. When it comes to the monthly payments, both options offer certain rewards. If you buy a car, then you can eventually pay it off and enjoy not having a car note at all. However, you can lower your monthly car note by hundreds of dollars if you choose to lease. The downside of leasing is that you will not pay the car off and get to smile as you roll around in a car that is fully paid for. While leases offer lower monthly payments, they also come with higher insurance expenses. Auto manufacturers offer leases to entice you to return in a few years and pick out another new car. They will guarantee a higher value for the car at the end of the term, but that can become a problem if you ever wreck the car. The insurance will pay only the value on the car, leaving you responsible for the difference between the actual value and what is owed. Invest in gap insurance to protect yourself in the event of a serious accident. Leases are commonly offered on cars that hold their value better. They can be a great deal if you are interested in a car you couldn’t afford otherwise. However, you should be aware of the potential downsides of leasing. While you will save money on the monthly note, you will never actually own the car and be able to eliminate the note. You will also have to watch the miles and pay extra for GAP insurance. The choice to lease or purchase is a very personal one, and there is no one answer to the question. Some people lease and love always having a new car. Others love the idea of paying a car off, eliminating the car note, and running the car until the tires fall off. The choice is yours, but you should know exactly what you are choosing before you head to the dealership to sign a contract.